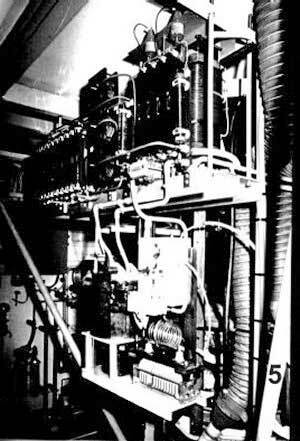 There was once great interest in what was known as The Great Bordeaux Magnetic Machine Mystery, or L’ Affaire Priore’. It was reported in the popular press, and in a number of papers in COMPTES RENDUS des SEANCES de l’ Academie des Sciences since 1964, sponsored by Robert Courrier. The machine, built at the University of Bordeaux by Antoine Priore, a 62-year-old electrical engineer, was originally used to kill micro-organisms that produce rot in fresh vegetables and fruit. 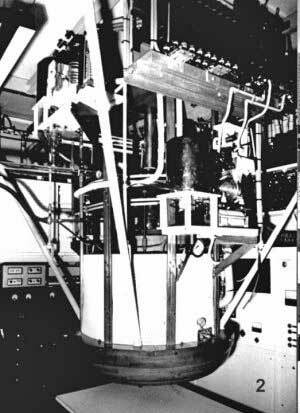 Subsequently, it was reported that wondrously beneficial effects on experimental subjects were obtained by the radiation emanating from the machine. Today, its primary use appears to be in cancer treatment of animals, where a large number of cures have been claimed, as described in further detail below. Of course, human treatment of cancer is the final goal. 1. A cancerous tissue was grafted to laboratory rats. Twenty-four control rats died within 22-30 days. 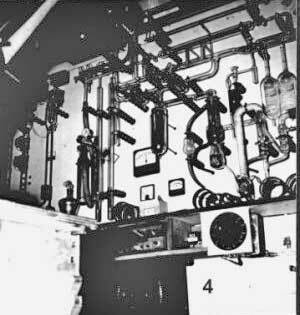 In those rats which had been exposed to radiation to the magnetic field from Priore’s machine, the cancerous tissue was either completely absorbed, or, if the treatment was begun after cancer had started to spread, had regressed to the point of total cure. There were no observed bad side effects and there was no recurrence of the cancer. 2. A different and highly malignant strain of cancerous tissue, leukaemia, which can cause death in as little as two weeks, was grafted onto laboratory rats. Again, exposure to the radiation in the magnetic field resulted in the complete inhibition of growth of the cancerous grafts, or, if the disease had started to develop before the treatment was begun, to its total regression. 3. Mice were inoculation with a microscopic blood parasitic (Trypanosoma equiperdum) which causes sleeping sickness and death in short time. The course of the experiment could be followed closely by analyzing blood samples taken daily. All control animals died by the fifth day. Mice exposed daily to the radiation and magnetic field survived (38 out of 46 animals) with complete disappearance of the parasites from their systems. They also developed a specific immunity to further infection. Animals exposed some days before inoculation appeared to have developed an immunity. 4. Rabbits, which develop a chronic illness when inoculated with trypanosomes from which they usually die after several weeks, were tested with the radiation in a magnetic field with the same positive results as described above. A twenty-man commission composed of well known men of science, medicine, law and other professionals, have begun and are continuing investigations into the claims made for this mystery machine. They have been able to report experimental findings, but have not been able to provide an explanation of the workings of the Priore equipment. Funding was provided by the French Government to construct a third and more powerful machine which cost 3.5 million dollars. 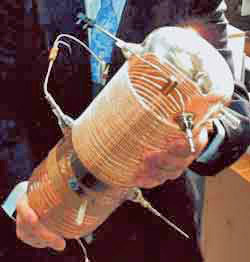 It was called the M-600 and functioned for about one week until a huge tube in it exploded. Due to the inflation rampant in the early 70’s, the replacement cost would have exceeded one million dollars which was felt to be too high to continue the project. The story of this remarkable work began in 1944 when Antoine Priore noticed some oranges which had been left in a room next to some electrical equipment. These oranges remained in a fresh state while others not near the electrical equipment became rotten and putrid. This anomaly intrigued young Priore to explore magnetic and electromagnetic effects on various plants. One of his earlier experiments was the exposure of lentil seeds to a magnetic field of 225 gauss at electromagnetic frequencies of 80, 32, 3 and 10 Hertz. This caused the lentils to grow 12-15 centimeters in length as compared to only a 5 centimeter growth for controls not subjected to the same treatment. The effect proved similar for asparagus, tulips, and other plants. Hens’ eggs were then exposed to the same energies which brought about hatching in 19 days as opposed to the normal 21 days. Later research using cancerous tissue yielded partial or total remissions when exposed to these energies. Similar reports of tumor regressions were obtained by Kenneth McLean with the use of a 3000 gauss or greater magnetic field. Later tests made by Biraben and Delmon using a field strength of 4500 gauss on T-8 tumors had not the slightest trace of remission. This showed that there was obviously something besides a magnetic field at work. Tests made with the Prior machine on cancer tissues ALWAYS caused total remission in all tissues exposed to the peach blossom violet color which the machine emitted. The machines of Antoine Priore were dismantled shortly after his death in the early 80’s. Time will tell whether this has been a great hoax, whether the French Government and numerous well known scientists have supported a charlatan, or whether mankind has stumbled on a revolutionary scientific development. How does the "Machine" du Prioré work? The great difficulty was that no one - including Prioré himself - understood the actual active mechanism produced by the machine. Prioré mixed several ordinary transverse EM radiations - some at radar frequency and some at microwave frequency - in a plasma tube containing a rotating plasma. Today it is known that some plasmas will organize longitudinal waves when transverse waves are input, and vice versa. Apparently he was able to produce at least "noisy" longitudinal EM waves. These waves were "infolded" inside pulsed magnetic field carriers - quite strikingly analogous to Whittaker’s theoretical work. So he did indeed use - at least to some extent - the still unexplored "inner Whittaker electrodynamics". The mechanism is a dramatic extension to nonlinear optics, moving it to the time domain, and resulting in the forced propagation of the pumped cellular mass itself - including the genetics - in the time domain. Hence the damaged or diseased cellular mass is slowly reverted back to a previous earlier state. There is no 3-spatial propagation; the propagation is shifted to the time domain entirely. It involves the hidden, very powerful general relativity in the "inner space" underlying the present EM (Electro Magnetic) fields. The papers by Rodrigues and Lu on the Los Alamos National Laboratory Website, and also in Foundations of Physics, summarize the present theoretical development of what is called "undistorted progression waves" (UPWs), which essentially are "noisy" longitudinal EM waves with residues of other polarization. A pure longitudinal wave with no transverse component residues, would have infinite energy and infinite velocity. Real LWs with transverse component residues, may travel at either subluminal or superluminal velocities. The world wide Suppression of these "Machines"
Cancer cures are big business. Treatment of a single cancer patient in the USA costs on average over $300,000. No price is too much to suppress this "Machine". Prioré’s own doctoral thesis summarizes the remarkable results of over a thousand experiments on various kinds of animals, with terminal tumors, trypanosomiasis, etc. Unfortunately the suppression of that project occurred, in such an intensely political environment that the University of Bordeaux felt compelled to reject the thesis. Prioré was never awarded his doctorate. Perisse’s doctoral thesis some 11 years later was accepted by the University of Bordeaux and Perisse was awarded his doctorate. The thesis again summarizes significant results of animal experiments with the Prioré machine. Prioré had died earlier, after a two-year lingering debilitation from a seizure or stroke. 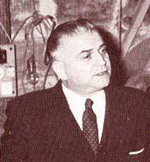 While Prioré was still alive, for more than a year his team attempted to raise capital to redevelop the Prioré machine. They were ruthlessly suppressed, after negotiating successfully with the French Government. They had some 16 million dollars pledged by some very wealthy retired doctors, and the machines were to be rebuilt in Bordeaux directly under Prioré’s auspices, tested and proven, then sold to large medical research companies for approved scientific research on otherwise hopeless terminal patients with their legal permission, as is legally permitted. While drawing up the legal papers to finalize everything, mysterious parties unknown contacted all our backers and threatened to kill every living member of their family lines, including women and children, if they actually transferred the financial backing to the group. The head of the fundraising team had all his companies ruthlessly wrenched from him, and he was forced to flee this country for his very life and hide. He is apparently still alive after all these years, even back somewhere in the USA, but living very, very quietly. Arthur Kendall, the Director of the Northwestern School of Medicine who worked with Rife on the cancer virus, accepted almost a quarter of a million dollars to suddenly ’retire’ in Mexico. Everyone except Dr. Couche and Dr. Milbank Johnson gave up Rife’s work and went back to prescribing drugs. Medical journals are supported almost entirely by drug company revenues and controlled by the American Medical Association (AMA). The medical journals have refused to publish any papers by anyone on this therapy. An entire generation of medical students graduated into practice without ever hearing of the breakthroughs in medicine made by Abrams, Lakhovsky, Prioré or Rife. Since fifteen years this laboratory gathers in an independent associative structure some academic physicians, engineers, technicians, sharing an original vision of the working of PRIORE’s devices. Specialists from different horizons bring their expertise for conception and realization of research apparatus. The entirely self funding allow a full independence. In this "melting pot" anyone can work without any intellectual conformism. There is an "juridical and financial imbroglio " and dangerous rivalries existing between the various actors whose interests are not the same. It is the sharp conflicts of people wounded in their self-esteem. All ruminate the bitterness of a failure and reject each other the responsibility. The apparatus is out of order, laying at the widow’s home. She refuses the access of the laboratory. 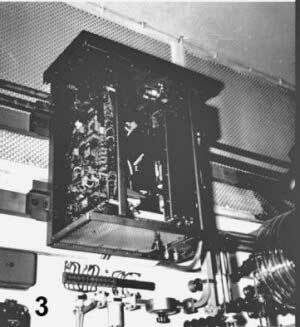 The property of this apparatus is claimed - at least for the last machine - by Leroy- Somer Inc., the firm which funded it. The firm wishes to recover its funds (more than ten millions of francs - 1,5 millions dollars - were invested in the "machine" of which it provided the main components) and solicit an important subsidy from state government. The government that had partially funded want to say its word.... and don’t forget some Italian wife and a progeny whom the inventor in his epic had forgotten. It exists very contradictory relations between Pr. Pautrizel and industrial, physicists of the Faculty of Bordeaux, the widow who refuses any cooperation. Isolated, without real means (his research unit being suppressed) Pautrizel is impotent. He want to play a role, so he balks to distribute the abundant documentation of which he arranges and cause in vain the creation of associations and petitions asking to the minister for the resumption of researches. In a first phase we try to unite these dispersed strengths. Vanishly! Antagonisms are too strong. Dr: Murzeau: " We decide to undertake a large investigation to gather a complete file on " L’ affaire Priore" for convincing whoever would wish to take the experimentation then... This enormous work required three years of compilation, spoliation and survey of a document mass, to expose Priore’s effects in a comprehensive manner, essentially based on the scientific results. To facilitate the work of a possible candidate, we have studied the realization of a simple equipment to demonstrate with reliable and reproducible manner the double Priore effect. In case of success it won’t lack demands to develop biggest machines . The technological complexity of the last monsters completely mask their basis principles . Rather than promoting the construction of a big device, we especially take interests to the first successes gotten in years 50. Curiously, this period has been disregarded completely by all those that take interest to the Priore’s effect. And yet the crop is exceptional ! 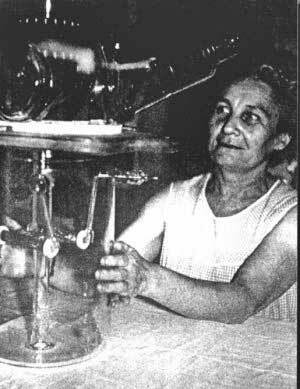 In this time (since 1948) Priore gets some very substantial results with a very modest recuperation equipment: the device holds on a small table! The studying of common features of the sophisticated apparatus that the inventor is going to make evolve during the ten following years is very instructive. We interviewed his intimates, his first companions, the craftsmen of the beginning, etc... All modest, admiring Priore to which he didn’t make a shade, they have shared good and bad moments. These particularly precious testimonies confirm the simplicity of the basic process ("it is so simple that" they "will never" find he said) .Simple process but delicate application and that will be it more and more with the increase of the device strength. 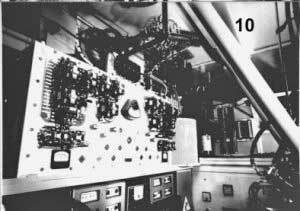 Certainly it was an excellent technician capable to execute the complex installations radio but we stays stunned of the elementary questions of which he overwhelmed specialists and engineers. This theoretical desert often drags him in unlikely confusions of terms between properties of the electric, magnetic field, ions, electrons, X. Rays, ... Its hypotheses did not result of scientific calculations. He only tried to build a theory for his mysterious discovery. 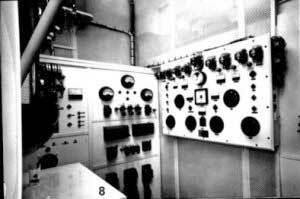 Certainly it was an excellent technician capable to execute the complex installations radio but we stays stunned of the elementary questions of which he overwhelmed specialists and engineers. This theoretical desert often drags him in unlikely confusions of terms between properties of the electric, magnetic field, ions, electrons, X. Rays,... Its hypotheses did not result of scientific calculations. He only tried to build a theory for his mysterious discovery. A suitcase belonging to Dr Fournier MD, one among the first Priore’s mate was exhumed from the attic of a notary. Maurice Fournier experimented with Priore since the first hour and thrown scientific bases of the effects. Its content was very, very instructive. We found numerous notes about the working and the biologic hypotheses, and an adherence to Rose-Croix, sect with smoky theories to which Priore had been initiated. It illuminates some "vibratory aspects" of his raving theories. Dr. Berlureau, a veterinary who came later consigned a lot of elements. Not essentially about theory but concerning the abundant and original documents retracing the main points of the experiences. Numerous other various source documents are gathered as well as a precise data list of hundred experiences achieved all along this adventure. Theories of Priore concern the internal working, the mechanism of his devices and the manner to improve them. As absurd as they are, they inform on the method that he applied. The survey of these sources, comparison with other electrotherapy methods in the century (Lakhovsky) but also analysis of failures of different tentative to replicate Priore’s devices finally leaded clearing the features of this enigma. This tedious work is essential to avoid enormous mistakes of interpretation and misunderstanding about Priore’s theory and apparatus. Failure of some of the best French university teams is a good illustration of this fact. NB. : in the same way some time later, the Aquitaine District will confide to a team of good physicist and very high Parisian scientific the studies and realization of some Priore big apparatus in the setting of Bordeaux University. Result : an enormous failure in spite of the importance of means and funding they used. 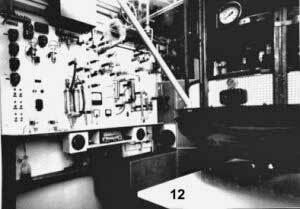 First, about 1985, to complete the studying of the apparatus we undertaked the construction of an equipment regrouping the main functions of Priore’s machines according to previous studies synthesis. The general purpose was the improvement of understanding the role of such or such component. Needing to conceive pieces (in particular the plasma tube), special installations, and managing in harmony some unaccustomed energy sources leads in the steps of Priore. This was an incitation to go further with the construction. 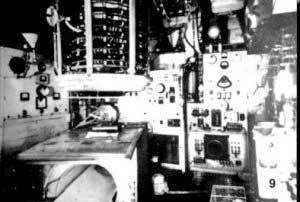 Progressively we built a consequent device associating radio-waves, radar, magnetic field, plasma-tube, etc. As it go along in the advancement some principles of working appeared more clear and it was obvious that the conception of the device doesn’t permit to produce a good Priore effect. Remember in 1985 it was only conceived and realized as a material for survey. Thus, the first period came to an end. The investigation being done thoroughly, the documents being compiled, the technical part being clarified, no candidate accepted to resume the undertaking. The association, too unwieldy to keep going, was left dormant. For ten years, the study of documents, the deepening of our knowledge, further research and the follow-up of recent works did not slacken. In 1997, there came the revival. 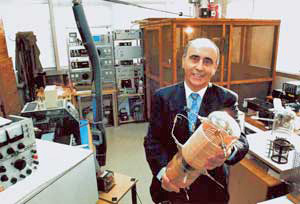 The decision to resume the experiments based on the previously acquired results, was made during a conference in Grenoble in 1997. A budget of 200,000 dollars over a 4-years period, was allocated from Dr Murzeau personal funds to finance the laboratory and incidental expenses. The new device, built around an original tube, sticks much closer to Priore’s principles without being, however a medically usable set-up. 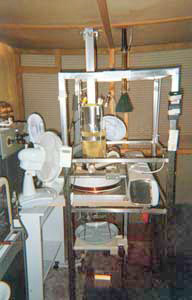 The aim as remained unchanged: building a simple set-up capable of showing the Priore effect, beyond dispute. Lets emphasize again, as the project developed, we were able to increase our knowledge and gain from our past errors. At the moment, the device would be built in an even simpler and more efficient way. However that may be, the aim we had in view had been achieved, that is to say the understanding of the reason and mechanism for A. Priore’s devices, and thence, and for the first time, the possibility of designing devices and elaborating experimental procedures based on strong reasoning. These are the conclusions we put forward in the chapter "building the devices". We have, nonetheless, experimented on two types of induced tumors, which were particularly aggressive since they killed the mice within three weeks. In the first case, we dealt with colon cancers grafted under the skin: it was a failure. In the second case, we studied spontaneous lymphosarcomas, in their final stage, developed by SJL mice's type. The mice were irradiated for 90 minutes per day, for 20 days, starting from the second day after the graft. The duration of the daily exposure was obviously too short, but the experimental device was not meant to work for extended periods. Remember that A. Priore, who mastered this technique, used used to treat his subjects for up to ten hours a day! Results: two months after stopping the treatment more than 80% of survivors, as opposed to less than 20% among the control subjects. The subcutaneous tumors, easily visible (being as big as a pigeon’s egg) seemed quiescent but had not grown smaller. The animals’ coat were glossy, and their appearance was much better than when we first got them. We are convinced that, with a sturdier, even more suitable device, designed for a protracted treatment (at least six hours a day ), we could do very much better. Why have we stopped experiments although the laboratory was still in working order? First, such an experiment, outside an official laboratory, requires from everybody inordinate energy, which incompatible with a long-term effort. Then, we must remind you that the laboratory has never received any public or other private funding than Dr. Murzeau’s gift. The financial burden is enormous. Lastly, as soon as the first results were released, definite dishonesty arose; it came from numerous university members, who, to begin with, committed themselves but who, later, hesitated in proceeding with research which they deemed likely to jeopardize their scientific reputation. 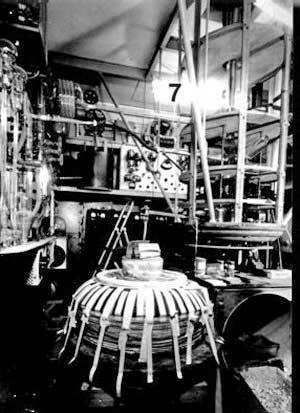 Third, a battery of experimental constraints was suggested, ranging from the number of mice (no fewer than a hundred for each experiment!) to the measurements of temperature, noise level, etc. Obviously we did not know that cancer could be cure through decibels!! In brief, we did not wish to devote our efforts, as A. Priore unfortunately had to, to complying with the demands of whose who had no desire to be convinced. It doesn’t matter. We have achieved our goal which was first and foremost understanding A. Priore’s principles, and thereby explaining all the different set-up that he had built. It appears much more interesting to design new generation devices, intended for experiments and treatment. Therefore, we offer partner teams to collaborate with us on technical and experimental grounds, in order to find technical solutions that would be varied, simpler, more reliable and capable of being operational as soon as possible. This is the "raison d’être" for this site !